Andhra Pradesh Postal Circle had released latest Notification No. RE/1-22/PM &MG/DR/2013 & 2014 dtd. at Hyd-1, the 164-2015 advertisement for recruitment of 301 posts of Post Mans and Mail Guard Posts in all over the state. 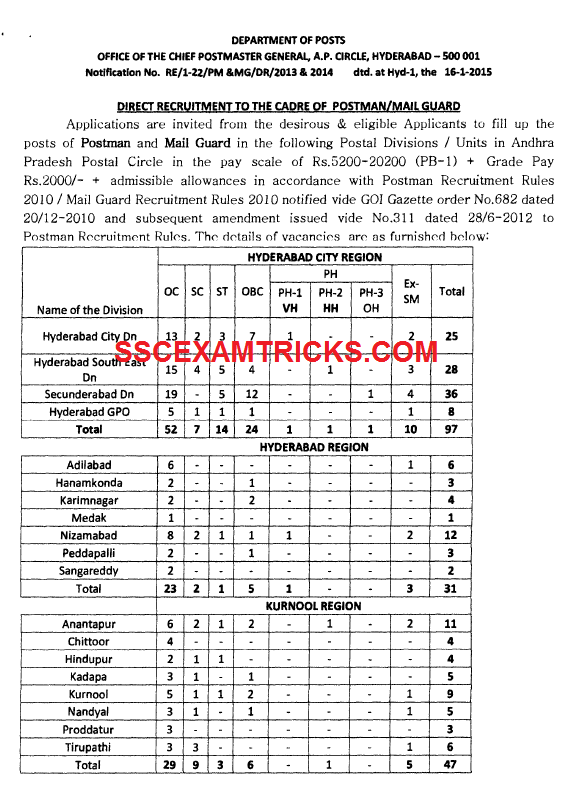 ONLINE applications are invited for 301 vacant posts in Andhra Pradesh Postal Circle on the official website till 16th February 2015. The list of Final Selected candidates will be released on the official website of UIICL.